Mercedes will likely not run out of models to give "Edition 1" labels to. 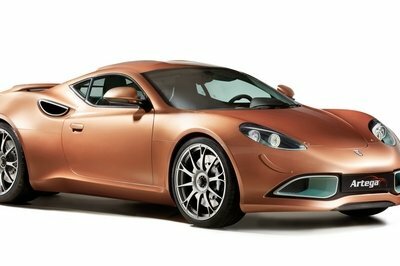 The German automaker continues to build new models, so naturally, more Edition 1 models are expected to come out of the woodwork, too. Now, Autocar is reporting that Mercedes is actually bringing a new Edition 1 model to the 2014 Paris Motor Show. But this isn’t your usual Edition 1 model; this is the Mercedes-AMG GT Edition 1. Business is about to pick up, ladies and gentlemen. Mercedes has yet to reveal details surrounding the Mercedes-AMG GT Edition 1. Fortunately, Autocar was able to get its hands on some photos of what looks like the AMG Edition 1. One thing I can tell you is that this model looks a little different from the GT and GT S models we all saw earlier this in September. Take a closer look and you’ll notice a lot of carbon-fiber additions, particularly on the front air ducts, and the lower outer edges of the front bumper. 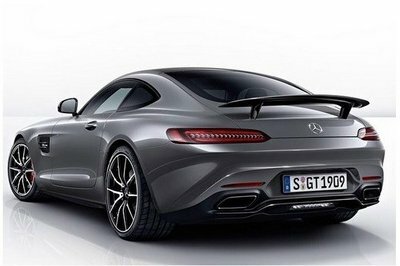 The Mercedes-AMG GT Edition 1 also reportedly comes with a prominent fixed rear wing and a set of 10-spoke alloy wheels. I counted myself and yes, those wheels have 10 spokes on them. I’m not expecting the GT Edition 1 to come with an engine upgrade because none of the Edition 1 models before it came with one. That’s okay, because the AMG GT still packs a 4.0-liter, twin-turbo, V-8 engine that produces an impressive 510 horsepower and 479 pound-feet of torque. 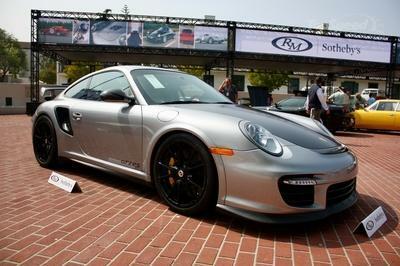 That’s enough to propel the sports car from 0 to 60 mph in about 3.9 seconds to go with a top speed of 189 mph. Click past the jump to read more about the Mercedes-AMG GT Edition 1. 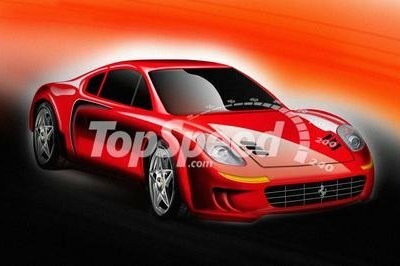 The same Autocar report also suggested that the GT Edition 1 will come with a heavily dressed-up interior featuring a series of yellow styling accents and plenty of Edition 1 badges to remind everyone of its special edition status. Nothing has been confirmed as far as price and availability are concerned, but expect the GT Edition 1 to sell at a little higher price tag than the GT S model. Since the GT S sits at £120,000 ($196,000 as of 9/26/2014), maybe somewhere around £140,000 ($228,500) should do it. 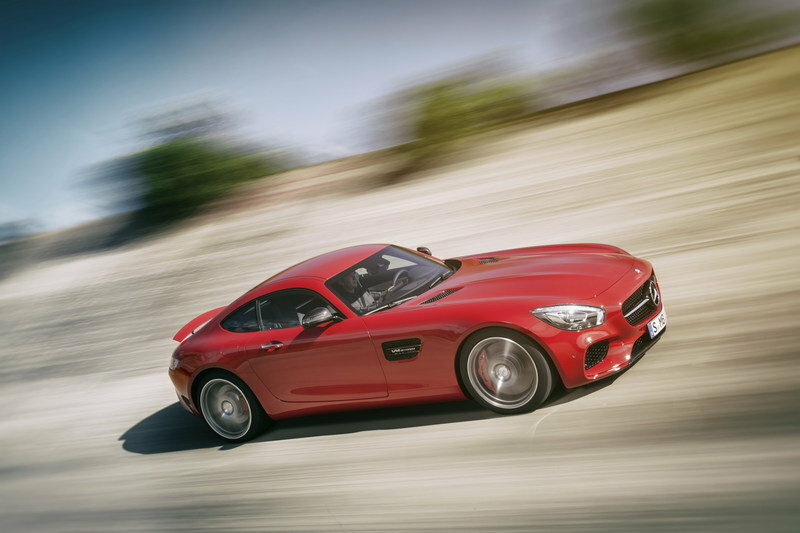 The Mercedes-AMG GT made its long awaited debut on September 9, 2014. 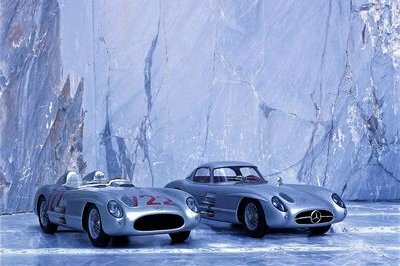 The GT does bear some similarities to the SLS AMG, although both models shouldn’t be confused with another, largely because the two belong in two different auto classes. While the SLS AMG was busy competing with the likes of the Ferrari 458 and the McLaren 12C, the Mercedes-AMG GT is setting its sights on sports cars like the Porsche 911 and the Audi R8 V10. 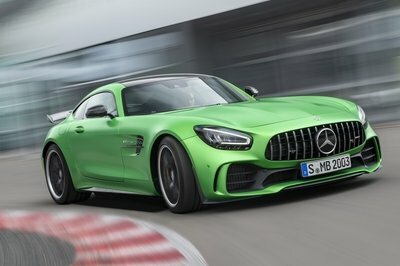 That distinction is a big reason why Mercedes opted to use a smaller 4.0-liter, twin-turbo, V-8 engine in the Mercedes-AMG GT instead of the 6.3-liter, V-8 engine in the SLS AMG. Despite the smaller engine, the GT still has enough juice to produce up to 510 horsepower and 470 pound-feet of torque in its S guise, allowing it to accelerate from 0 to 60 mph in under four seconds to go with a top speed of about 192 mph.